Dress Hire UK | What to wear to a work event? We have just launched our Infinite membership, so that means you’ll be able have an infinite rotation of new dresses to wear, for £99 a month. Dress hire is your new best friend to help you out for those special events! Every lady wants a show stopping dress hire for a big occasion in their life, a designer gown dresses,Wedding guest Dresses etc. If you are looking for formal dresses near me, Hire that look with Girl Meets Dress – we are the dress hire destination to rent a dress from designer brands. Own the moment and rent the dress! We offer all type of dresses to hire to cater to all your special occasions, and they range from prom dresses, Evening & Cocktail dresses, Wedding guest Dresses, mother of the bride dresses, Race day dresses. This blog will focus on our most popular dresses worn by our London customers. So if you can’t decide if you want to wear a dress, then this blog from us is the one for you. A flattering and beautiful cut at the waist combined with a feminine A-Line skirt. The clever detail around the waist contours the shape to create a stunning silhouette. Worn by Princess Beatrice at this year’s Royal Ascot. This dress by Roland Mouret shows fantastic tailoring – coloured bright green with black sleeves, this V-neck silhouette is made even more sultry with a gold-tone zip that runs all the way down the back. Another lace wonder dress from Self Portrait. Panels of navy crêpe are complemented by semi-sheer black guipure lace that shows a hint of skin. The plunging cape-style back and bandeau lining give the perfect contrast of coverage. Stella McCartney’s crêpe dress says party at the back, business at the front. The LBD style has the brand’s floral motif print on the back as a surprise.The orange-toned waistband accentuates a feminine silhouette, perfect for day or night. Hire this navy on the knee dress, for the perfect work event dress. This Mariette Dress to hire defines elegance with a form fitting silhouette. The overlay trim traces down the bodice to lead into a ruffled waist that defines your flattering figure. For those who live in London, Girl Meets Dress offers same day delivery, for all orders placed before 1pm, so it’s not too late to hire dresses of your dreams! With Girl Meets Dress, you can now rent the runway in the UK, as the dresses you see on Girl Meets Dress website, are always from the front row of the catwalk. rent dresses uk, hire a dress uk, rent designer dresses uk, dress rental london, rent a dress london, dress hire glasgow, rent dress london, girls meets dress, rent the runway uk equivalent, rent designer dresses, borrow a dress. Tags: GMD Daily. ball dress, Ball dresses, ball dresses hire, Ball gowns, Celebrities in Self Portrait, Celebrity Dresses, clothing hire, Cocktail dress, cocktail dresses, Designer dress, designer dress hire, Designer Dress Hire UK - Dress Rental Hire That Look Dress Hire Hire That Look. Hire dresses. Own that moment! Prom Dresses, Designer dresses, dress, Dress Hire, dress hire london, dress hire UK, Dress Hire UK | What to wear to a work event?, dress of the week, dress rental london, dress rental uk, Dresses, Dresses to wear to a Wedding, evening cocktail dresses, evening dress rental, Evening Dresses, Girl Meets Dress, girlmeetsdress, GMD, GMD Daily. ball dress, hire a dress, hire celebrity dresses, hire cocktail dresses, hire designer dresses, hire designer dresses uk, Hire dresses, Hire Roland Mouret, Hire Roland Mouret dress, Hire Roland Mouret gown, hire self portrait, Hire Self Portrait dress, Hire Self Portrait dresses in Europe, hire stella mccartney, hire Stella McCartney dress, Hire STELLA MCCARTNEY dresses, long dresses, Meghan Markle green dress, mother of the groom dress evening dress hire, my celebrity dress, party dress, party dresses, party dresses hire, party dresses uk, Prom dress, Race Day Dresses, rent, rent a dress, Rent a dress uk, rent celebrity dresses, Rent designer dresses, rent designer dresses uk, rent dresses, rent dresses uk, Rent Roland Mouret, Rent Roland Mouret dress, Rent Roland Mouret dresses, rent self portrait, Rent Self Portrait dress, rent self portrait dresses, roland mouret, Roland Mouret dress, Roland Mouret dresses, Self Portrait, Self Portrait Dress, Self Portrait green dress, short dresses, Stella McCartney, Stella McCartney dress, Stella McCartney dresses, Wedding Guest Dresses, What to wear to a wedding. If you are looking for formal dresses near me, Hire that look with Girl Meets Dress – we are the dress hire destination to rent a dress from designer brands. Own the moment and rent the dress! We offer all type of dresses to hire to cater to all your special occasions, and they range from prom dresses, Evening & Cocktail dresses, Wedding guest Dresses, mother of the bride dresses, Race day dresses. This blog will focus on our most popular dresses worn by our London customers. So if you can’t decide if you want to wear a dress, then this blog from Girl Meets Dress is the one for you. Meghan Markle Wore this pretty Green Self-Portrait Dress to the Sydney Invictus Games Reception. This Self Portrait green floral printed chiffon dress is a relaxed fitting mid length dress with cold shoulder sleeves. Perfect dress hire for a daytime event. Hire this navy dress, as it is the perfect day dress for autumn. This Mariette Dress to hire defines elegance with a form fitting silhouette. The overlay trim traces down the bodice to lead into a ruffled waist that defines your flattering figure. An instant classic, this refined look features a plunging v-neck with illusion insert. The perfect dress for all occasions by Jill Jill Stuart. A great length of dress by Diane von Furstenberg. Made from silk fabric and adorned with diverse stripes. The understated collar, buttoned front and long sleeves make this an easy party dress to hire for your next event. Tags: GMD Daily. ball dress, Ball dresses, ball dresses hire, Ball gowns, Celebrities in Self Portrait, Celebrity Dresses, clothing hire, Cocktail dress, cocktail dresses, Designer dress, designer dress hire, Designer Dress Hire UK - Dress Rental Hire That Look Dress Hire Hire That Look. Hire dresses. Own that moment! Prom Dresses, Designer dresses, dress, Dress Hire, dress hire london, dress hire UK, dress of the week, dress rental london, dress rental uk, Dresses, Dresses to wear to a Wedding, evening cocktail dresses, evening dress rental, Evening Dresses, Girl Meets Dress, girlmeetsdress, GMD, GMD Daily. ball dress, hire a dress, hire celebrity dresses, hire cocktail dresses, hire designer dresses, hire designer dresses uk, Hire dresses, hire self portrait, Hire Self Portrait dress, Hire Self Portrait dresses in Europe, long dresses, Meghan Markle green dress, mother of the groom dress evening dress hire, my celebrity dress, party dress, party dresses, party dresses hire, party dresses uk, Prom dress, Race Day Dresses, rent, rent a dress, Rent a dress uk, rent celebrity dresses, Rent designer dresses, rent designer dresses uk, rent dresses, rent dresses uk, rent self portrait, Rent Self Portrait dress, rent self portrait dresses, Self Portrait, Self Portrait Dress, Self Portrait green dress, short dresses, Wedding Guest Dresses, What to wear to a wedding. 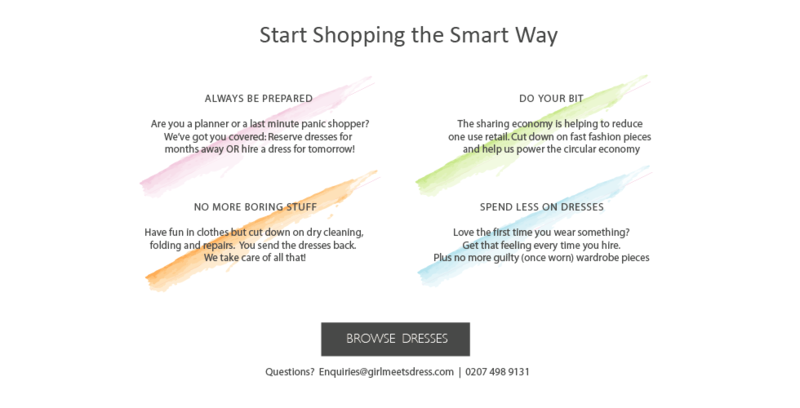 Girl Meets Dress launches Infinite membership! If you are looking for formal dresses near me, Hire that look with Girl Meets Dress – we are the dress hire destination to rent a dress from designer brands. Own the moment and rent the dress! We offer all type of dresses to hire to cater to all your special occasions, and they range from prom dresses, Evening & Cocktail dresses, Wedding guest Dresses, mother of the bride dresses, Race day dresses. Order a maximum of 3 dresses, we’ll post them for your event and when we receive the dresses back from you, simply order your next 3 dresses – that simple! Tags: GMD Daily. ball dress, Ball dresses, ball dresses hire, Ball gowns, clothing hire, Cocktail dress, cocktail dresses, Designer dress, designer dress hire, Designer Dress Hire UK - Dress Rental Hire That Look Dress Hire Hire That Look. Hire dresses. Own that moment! Prom Dresses, Designer dresses, Dress Hire, dress hire london, dress hire UK, dress of the week, dress rental london, dress rental uk, Dresses, Dresses to wear to a Wedding, evening cocktail dresses, evening dress rental, Girl Meets Dress launches Infinite membership!, Girl Meets Dress Monthly Membership, hire celebrity dresses, hire cocktail dresses, hire designer dresses, hire designer dresses uk, Hire dresses, long dresses, mother of the groom dress evening dress hire, my celebrity dress, party dresses, party dresses hire, Race Day Dresses, rent a dress, Rent a dress uk, rent celebrity dresses, Rent designer dresses, rent designer dresses uk, rent dresses, rent dresses uk, short dresses, Wedding Guest Dresses, What to wear to a wedding. If you are looking for formal dresses near me, Hire that look with Girl Meets Dress – we are the dress hire destination to rent a dress from designer brands. Own the moment and rent the dress! We offer all type of dresses to hire to cater to all your special occasions, and they range from prom dresses, Evening & Cocktail dresses, Wedding guest Dresses, mother of the bride dresses, Race day dresses. This blog will focus on our latest dresses. So if you can’t decide if you want to wear a dress in Summer, then this blog from Girl Meets Dress is the one for you. We have so many new dresses for you to rent from! Wow, hire this dress to make an entrance at your next black tie event or wedding. Off shoulder style and thigh split detail make this the dress hire of dreams. The party girls go-to brand for the perfect dress. This rainbow dress is a modern makeover to cocktail dresses. Try wearing emerald green by hiring the Ivy Dress by Lovers + Friends. This classically sweet fit-and-flare silhouette plunges low in the front and ties into a pretty bow around the waist. Slip it on with some strappy shoes for a good time at your next event. Tags: GMD Daily. Ball dresses, ball dresses hire, clothing hire, Designer dress, designer dress hire, Designer Dress Hire UK - Dress Rental Hire That Look Dress Hire Hire That Look. Hire dresses. Own that moment! Prom Dresses, Dress Hire, dress hire london, dress hire UK, dress rental london, dress rental uk, Dresses to wear to a Wedding, evening cocktail dresses, evening dress rental, Girl Meets Dress, girlmeetsdress, GMD, hire, hire a dress, hire celebrity dresses, hire cocktail dresses, hire designer dresses, hire designer dresses uk, Hire dresses, hire Lovers + Friends, hire Lovers + Friends dress, hire Lovers + Friends dresses, hire NBD, hire NBD dress, hire NBD dresses, long dresses, Lovers + Friends, Lovers + Friends dress, Lovers + Friends dresses, mother of the groom dress evening dress hire, my celebrity dress, NBD, NBD dress, NBD dresses, party dress, party dresses, party dresses hire, party dresses uk, Race Day Dresses, rent a dress, Rent a dress uk, rent celebrity dresses, Rent designer dresses, rent designer dresses uk, rent dresses, rent dresses uk, rent Lovers + Friends, rent Lovers + Friends dress, rent Lovers + Friends dresses, rent NBD, rent NBD dress, rent NBD dresses, short dresses, style, Wedding Guest Dresses, What to wear to a wedding.